Couples come into therapy when they are experiencing distress. Most often, they are caught in a circular argument over a particular issue or issues. Over and over again they keep repeating the same negative interaction that leaves them feeling disconnect, distant and emotionally isolated from their partners. When we are caught in theses negative patterns, it is difficult to see that the negative cycle is causing more distress than the original difference or argument. That's where EFT couples therapy comes in! EFT couples therapy provides a place where both partners can share their thoughts, feelings and concerns with an unbiased other who can help 'weed through the distress' to uncover what's really going on for each partner. Couple therapy helps by slowing things down, allowing for a new conversation to emerge. 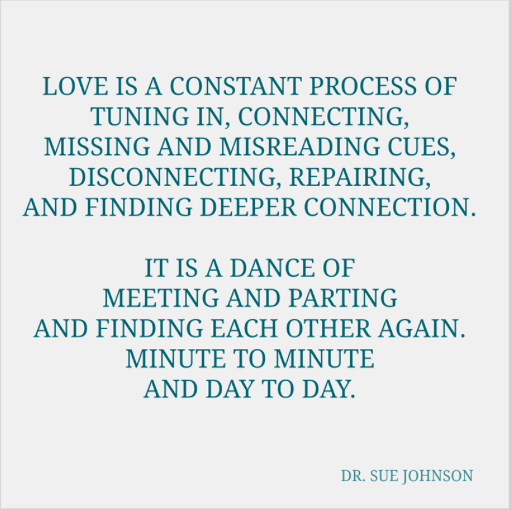 Emotionally Focused Therapy for Couples (EFT) offers a comprehensive theory of adult love and attachment, as well as a therapy process for healing distressed relationships. It recognizes that relationship distress results from a perceived threat to basic adult needs for safety, security, and closeness in intimate relationships. EFT helps couples by working to strengthen attachment bonds. Having strong attachment bonds means couples feel safe together, know they are most important to their partner, are more flexible in problem solving, communicate, and feel securely connected. The same old fight is finally resolved. The walls that kept you away from each other crumble away and the feelings that brought you together in the beginning revive and grow. EFT research has been published in professional journals proving its effectiveness. As a model of therapy, it is respected widely in the field as is the therapy co-originator, award winning psychologist, Dr. Susan Johnson. Over the past 30 years many research studies have proven EFT works! help them connect in a more powerful and loving way. I have been working with couples for over 16 years. I became Certified as an EFT Couples Therapist in 2008 and as an EFT Supervisor in 2010 and as an Certified EFT Trainer in 2018. I am a cofounder of the Greater Toronto EFT Community an organization created to help couples find an EFT therapist in their area, as well as to help mental health practitioners find valuable EFT trainings. I have also been facilitating EFT trainings since 2004. Sue Johnson and myself at the 2015 EFT Externship hosted by the Greater Toronto EFT Community at Ryerson University. Emotionally Focused Therapy was created by Sue Johnson and Les Greenberg almost thirty years ago. Today it has been proven that it is an effective treatment for distressed couples and is considered a short term therapy. 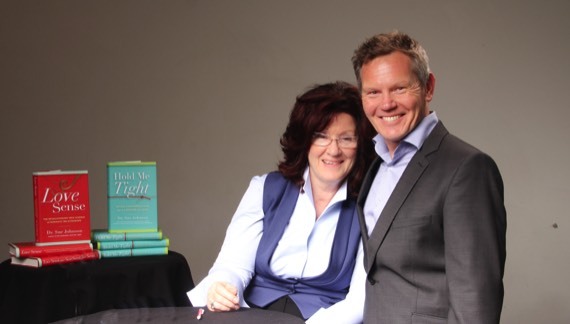 In EFT research studies, most couples (over 70%) turned their relationship around in 15 – 20 sessions and over 90% of couples “significantly improved” when seeing a trained and certified EFT Therapist.